There are 2 options for integrating with Paylink. Use this guide for integrating your site/shopping cart into the Paylink system. A basic knowledge of HTML is required or for advanced integration, a server side scripting language such as Java, PHP, C#. This document will provide examples to aid with your integration to ensure that the information passed between your site and Paylink is successful. Use an existing integrated shopping card/software. CityPay have teamed with various e-commerce providers that supply direct integration with the Paylink system. Advanced integrations for shopping cart integration will require web development knowledge including server side scripting. The shopper chooses the items to purchase on your website and populates the items into a shopping basket (a direct request without a basket is also possible such as bill payments). An initial request is forwarded to the Paylink application as per this specification. Paylink validates the request data and if valid displays a user interface for the session. The user interface is dependent on the user-agent. This includes a simple user interface which collects data or a more advanced web 2.0 interface which checks the bin ranges of the first 6 digits of the card number for required parameters, easing the process for the end user. Should the request be invalid, an error message is displayed by Paylink with a message for the merchant integrating and also a message for a customer in case of a problematic request once live. The user must first select the card type they wish to process with. The types of Cards your account can accept is controlled by CityPay and your Acquiring bank. Once the user has selected a card, they are required to enter their card details. While entering the card number, the user interface recognises the bin range (first 6 digits) and calculates what is required of the card for data entry. This allows for immediate feedback to the card holder that we are expecting 3 digits from a card security code or an issue number is required for the card. Should the card number be different to that selected then, and if your account can accept the new range, the user interface displays the recognised logo of the card scheme and continues unaffected. Should your account not accept the bin range a screen will be displayed showing that the card is unaccepted. Once all details are collected, the user will click on the "Process Payment" button. On submission, the user interface will feedback to the user that the transaction is processing. The user interface will not allow for duplicate processing due to processing being controlled by a separate process. The web application checks for the state of a transaction against this process, allowing for a user to refresh their browser and not affect the processing. The screen as shown below will poll the server to see if the transaction is ready. For 3-D Secure transactions, the ACS is shown either in an embedded or in-line state within the Paylink application, allowing for a seamless integration of 3d secure. A live ACS will be provided by the card issuing bank. An embedded ACS will appear in an iframe retaining the user on the paylink site. The Paylink application is able to determine if the browser can display iframes before embedding. The recommended and default rendering of the ACS however is inline to the application. This means that the complete browser window will be forwarded to the ACS. This allows the card holder to trust the ACS site and also confirm the ACS validity through EV TLS. After processing of a 3d secure transaction, the user will be returned to the processing screen awaiting full authorisation. Should the transaction be authorised, an end screen is displayed showing the result of the transaction. Users are then advised to return to the store. This will happen automatically after 15 seconds or a value otherwise provided in the integration. Should the transaction be declined or rejected, a screen is displayed showing the resultant message such as declined or any relevant error message. The user is then given the option to start again by using another card or correcting details of the transaction or to return to the store. CityPay will supply you with a Client ID and a Merchant ID for each account you wish to process using. Your Client ID is issued as your individual ID with CityPay. This ID allows you to login to the CityPay Merchant Panel and should be used in correspondence with CityPay. Your Merchant ID is issued by CityPay and directly maps to at least one bank merchant id. This id should not be confused with the id for your bank. The merchant ID is used to send payment information to CityPay. You will be provided with access information to the CityPay Merchant Control Panel (MCP) including URL, username and a temporary password. You will be required to change your password when you first login. The control panel will allow you to report and manage your account. When a customer is ready to checkout from your store, you should provide a HTML form or link that submits the required purchase information to the CityPay Paylink server. You can use whatever technology you desire however it is recommended that the page before submitting is kept to a standard HTML form. To pass information about a purchase to Paylink for payment processing, you must create a standard HTML form on your website encoded with application/x-www-form-urlencoded which will POST the required data. You will need to publish a page on your website similar to the example above. You do not need to host the form on a secure server as all sensitive information is processed and obtained on the CityPay secure server. Paylink will still integrate with secure servers if you prefer to keep the checkout process secure. When a customer is ready to pay, the customer presses a button on your site which when clicked submits the information for payment to the CityPay secure server which delivers the Paylink application. The form submission indicates a single purchase and a single total amount. 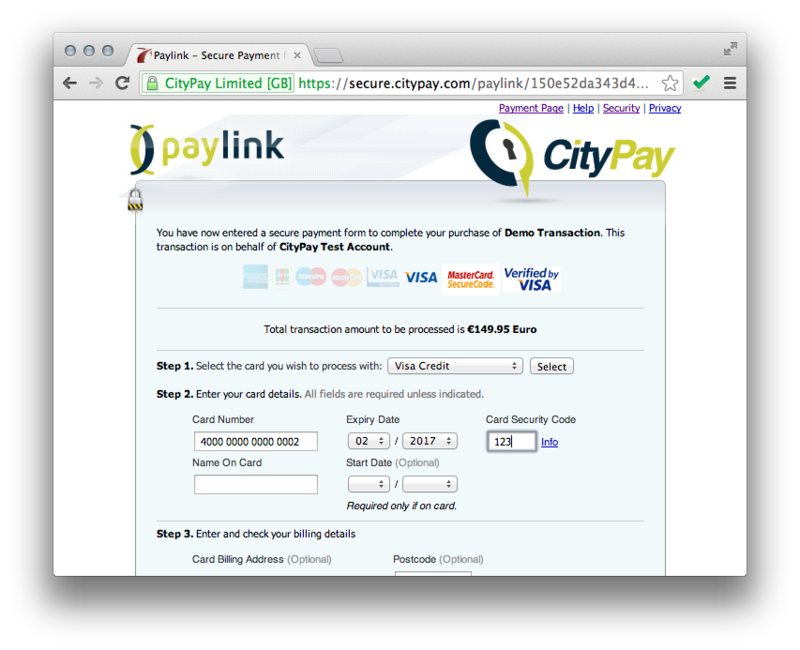 As form details are displayed in your website source, CityPay also offer the ability to encode data between your site and Paylink using a tokenised method. This is recommended over the basic integration method to reduce the potential for tampering with the data. This method is not secure due to the simplicity of the encoding process used, for a more secure version use the AES cipher. To be able to provide a token based integration method, integrators will provide all parameters tokenized into a simple password based xor and base64 token encoding system. Code is available in many languages for integrators to use. An example is included later in the document. Integrators should follow the same parameter requirements as per a standard form integration however this encodes all http parameters such as: amount=9950&identifier=yourident into an xor and base64 encoded token, the end encoded string is provided as a parameter named "token". The xor process uses the merchant licence key as the encryptor which is not known within the request. The merchantid however must be still provided as a request parameter to ensure we are able to determine the account this is encoded for. Although data is encrypted to our server, data is available within the view source of the browser. For a more secure solution, it is recommended to encrypt the contents of the payment request using strong encryption. A payment request may be forwarded by encrypting the request parameters as a value. This data should be sent as a parameter called ciphertext. A salt provided by CityPay for each merchant account. The salt is linked to your licence key and will change on a licence key change. Password based, in accordance with RFC2898 (PKCS#5 V2.0 Scheme 2). Your merchant licence key is your password. Salt is provided to you in base64 encoding and should be kept secret. NOTE: You are able to forward your own base64 salt as the parameter "random". You should encrypt the cipher text using this salt and send the cipher text base64 encoded as the parameter "ciphertext". Sending no random parameter will result in the default salts being used which are generated using internal logic to CityPay. On the response/postback only the ciphertext is returned using your original salt. When sending an encrypted request, both the post back and redirect response data are encrypted using the ciphertext parameter. This will require decryption before obtaining the necessary data. The following parameters are the basic parameters required for every purchase request. The merchant id issued by CityPay. Accounts that use multiple currencies may require multiple merchant ids. The email address to forward a confirmation email to. Please note that this is an email for merchant use and contains information about the transaction this should not be supplied to the shopper. As an alternative to the productInformation field, you are able to provide the parameter productDescription. This will alow you to add text of your choice to the header of Paylink. Due to potential cross site scripting attacks into paylink, no html tags are permitted in this field. You are able to create your own custom set of parameters that are passed through the Paylink system and displayed to the user for completion. Additional information such as "company" etc can be added to the site for input by the card holder. In addition, custom parameters may be passed through the system and returned within the response mechanism. Any unregisted parameter may be used for a displayed field. A field value which should be hidden from the user and used purely for callback should be prefixed with either '_' or 'paylink_callback'. This value will remain in the user's Paylink session and never be rendered to screen. The following parameters are in addition to the default parameter listed. For 3d secure transactions, you are provided with access to the CityPay merchant plug-in (MPI) which manages transactions through 3d secure authorisation. The subsequent access control server (ACS) may be shown embedded (iframe) or inline (as an entire page within the browser) within the page. A value of 1 will render the ACS inline and 0 embedded. The default value is inline. You may run a test against Paylink at any point by setting a value as test = true. Other values will be live. You will notice that paylink is in test mode by a banner displaying test mode in the application. If no parameter is supplied the default is test=true. The postback url for this request. The url may be provided to CityPay for configuration for the account however a request may override this by providing the parameter on the initial request. The redirect URL for this request on completion or non completion of the transaction. If no alternative URL is provided to CityPay for configuration then CityPay will use the default Domain of the URL supplied for the account. However we strongly recommend that you override this by providing the parameter on the initial request. You may provide the ability to prevent users from entering data in certain fields. Supply multiple values to the lock value which specify the name of the field to lock. Such as locking the customerEmail and billing details, provide 4 parameters named 'lock' with the value set as the parameter name. An optional value in seconds which can be provided to force a payment session to expire in a given period of time. i.e. a value of 900 would be 15 minutes. Ordinarily sessions are maintained for 30 minutes from the last action that the user performed. This therefore could maintain the payment process over a longer than expected period should a card holder maintain session state. Using this value forces Paylink to calculate an expiry point based on the time that the request was received. Should a request to Paylink be made from the same session (and the session still exist), Paylink will notify the user that their payment time has expired. If no value or an invalid integer is supplied, the default session handling will be in place. Paylink can be configured using pre-authorisation allowing you to take payments which are not captured for settlement. Transactions will remain open until a corresponding completion or cancellation call is made. This may contain an amount that differs from the initial call. The completion calls are made using other APIs other than Paylink. In response from the processing of a transaction payment, there are two possible outcomes. The card holder has cancelled the transaction. In the instance of a declined payment request, the card holder has the option of processing using an alternative card. In the second part, you cannot be guaranteed that the user will click cancel as they may also just leave the payment session without closing the payment. As part of the return to your store, we supply result parameters that can be decoded and used to assess the transaction response. CityPay strongly discourage the sole use of this type of response as it is possible for a malicious user to tamper with the parameters. Postback is a facility that allows a HTTP or HTTPS request to poll your server or shopping cart providing the result of the transaction. The post back is triggered when a transaction is cancelled or processed. By using the post back feature you can confirm the integrity of the request by limiting the request to the production IP addresses. Post backs are limited to standard HTTP ports 80 and 443. CityPay uses the Postback API to inform you when a transaction has been authorised only. This is due to card holders potentially retrying a payment, using a different card or simply not proceeding with the transaction. The Postback process sends data to your Postback URL which is configured by the CityPay Merchant Control Panel or overridden by an incoming parameter within the request. The returned data is returned as standard name/value pairs in a HTTP POST request. If a request was originally encoded using XOR encoding, the postback process will forward unencoded data. If you wish that your URL is restricted by authorisation, the Postback process will retry an unauthorised request including the client id as the username and the merchant id as the password. When CityPay contacts your URL and receives a 200 OK status code, CityPay accepts that the data has been successfully received. Should the callback URL be unavailable or a different HTTP status code is received, CityPay will attempt to resend the message for a total of 10 times before giving up. The system will retry every 20 minutes. When receiving Postbacks from CityPay, the application should attempt to parse and process the information in the data. To increase the security of a post back, it is recommended to wrap your service using TLS. If the application parses and processes the data successfully, the application should return a HTTP 200 response code which indicates that the POST request has succeeded. CityPay will not send any further callbacks for this response. If the application is unable to parse the data successfully, the application is required to return a HTTP response code other than 200 such as Client Errors 4xx or Server Error 5xx. This will indicate that an error has occurred. On returning an error response code, CityPay will attempt to resend the notification for a short number of times. The application may terminate the request by responding a 200 OK response. A Postback URL can be preset with your account so that the value is never exchanged over the initial request to Paylink. It is possible to change the postback URL on every purchase by using the paylink_postback parameter. The response will contain the following list of values which will determine the outcome of your e-commerce product. The authorisation code as returned by the card issuer or acquiring bank for a successful transaction. Authorisation codes may contain alpha numeric characters and may be an empty String. A Boolean definition that indicates that the transaction was authorised. Attention should be referenced to the AuthResult and Error code detailed determination of the result. The amount of the transaction in the lowest denomination. The currency of the transaction as an ISO 4217 3 digit alpha numeric value. Denotes the mode of the transaction by returning a live or test value. An integer result that indicates the outcome of the transaction as specified in the table Authorisation Result Codes. An error code associated with the transaction. The error id appears in the format 000.000.000 which should be provided in correspondence with any support issues. A text message relating to the result of the transaction. This field will return a String with detailed information on the outcome of a transaction, this field will also contain details concerning any errors that occur. Please consult the error code documentation for how to rectify and decode error messages. The resulting transaction number, ordered incrementally with the MerchantID. Defaults to -99 for a test transaction or -1 for errors. The result of the card security code checking. The result of the avs checking. The card number masked using the recommended masking process of displaying the first 6 numbers which identify the bin range and the last 4 digits. All other digits are masked with an asterisk. For example 412312******2151. The CAVV is a value derived by the Issuer during payment authentication that can provide evidence of payment authentication during an online purchase. If the transaction is authenticated, this value should be kept to receive chargeback protection. ECI=5. This Value is set when a transaction is Fully Authenticate using 3D Secure. ECI=6: This value is set when an attempt is made to authenticate the Cardholder using 3D Secure, but the Card Issuer or Cardholder was not participating, or the Card Issuer ACS was not able to respond. ECI=7: This value is set when payment authentication was unsuccessful or not attempted. If a request was originally encoded, the response data is returned as a parameter named "token" for decoding on your server side. The encoded token uses the reverse process as the encoded request of base64 decoding followed by an XOR of the decoded base64 using the licence key of the merchant account. Error Codes are used to identify the result of a transaction, either successful, rejected or declined. The codes in their basic form contain an identity and a error message which provides more detailed instruction. From time to time CityPay introduce new error codes, any current codes will remain intact and remain within their current scope. 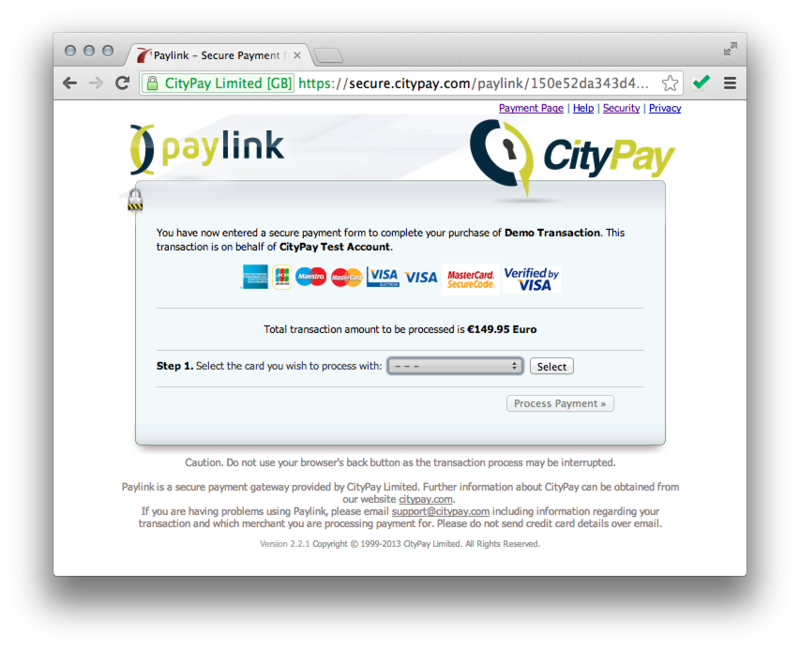 Please consult CityPay support for any further details regarding the use and terms of error codes. The following AVS response codes as used by CityPay to determine result of processing using the Address Verification System. The CSC response codes determine the result of transactions processed using the Card Security Code fraud system. The following authorisation codes are an exhaustive list and are required to cater for all transaction types, including e-commerce, chip and pin, MOTO and others. These values should be added to the application workflow when greater control of a terminal or application is required instead of the accepted value which is determined by the nature of these responses. Older gateway APIs are in the progress of migrating to SHA-2. You can test the digest using the values "A12345", "55731", "001", "12345", "2074", "os11a3v0il9f7iqfos765o1lh21250232646", "2Y9000000007" which result ina digest value of "6/6eA4PcNekKGUfhfjRvtw=="
The XOR Cipher is a simple cipher which operates using a data input and a key which is constantly repeated. The cipher is used a a simple cross platform solution against tampering of data which travels via a user's browser. Please note that the cipher is not used for the post back API as this is not part of the browser process. Once the XOR value is obtained, the data is then base64 encoded. To set your account live, please login to your merchant control panel and select the activate icon displayed for the required merchant id. This will inform CityPay support that you wish to go live who will then contact you to confirm that the account is made live. CityPay restricts users arriving at Paylink to be restricted by the HTTP referrer header value. The referrer header is provided as part of the HTTP/1.1 specifications so all conforming browsers should forward this information. Should no referrer information be presented such as the case of a direct request to Paylink, the application will display that an invalid request was requested (Error code P007). The referral page should be submitted to CityPay for configuration. (This will shortly be configurable in your merchant panel). Please note that a global referrer may be provided such that if you expect transactions to come from multiple parts of your site, you may configure Paylink to accept all from a given host and directory. Such that all transactions are to be configured from http://www.mysite.com/ecommerce/checkout.html and http://www.mysite.com/ecommerce/newcheckout.aspyou may simply provide http://www.mysite.com/ecommerce/ to globally allow a request. Please note that the referrer is not intended to be a secure mechanism that trusts where the transaction originated from as the referrer information may be easily forged. It is however a simple process to help reduce misconfiguration and produce a listing of systems configured to your Paylink configuration. For the purpose of testing, an internal or local host address may also be supplied however this will restrict tests to your development area only. Bill payments to credit cards such as Visa, MasterCard, Maestro, American Express, Diners. Paylink allows merchants to request on an individual transaction basis whether a card holder account is created when a transaction is successfully authorised. The accounts are then initialised for use by other applications across the CityPay service structure allowing for repeat billing and batch processing of accounts. Transactions in Paylink are processed and coded as e-commerce transactions including 3D-Secure, CSC and AVS allowing for full validation of the card holder. Transactions are consequently processed as continuous authority transactions by batch processing. Please note that the merchant account will need to support both for correct application of this service. To enhance Paylink to create card holder accounts, your account will need to be setup to accept this option. This can be performed by contacting your support representative. Once you have been notified that this has been enabled, the following options are programmable by your API integration. To be able to tailor the account number for a card holder account, supply a value in this field. The value should be ASCII and a maximum of 20 characters. This account number is subsequently used for processing against this account. The last name of the card holder. The 2 name values differ to the card holder name as used by the Paylink processing network which should be entered by the card holder to resemble what is listed on their card. 2 a card holder account was created successfully. Provides the value of the account id as provided by the accountNo request parameter. Processing against a Card Holder Account. 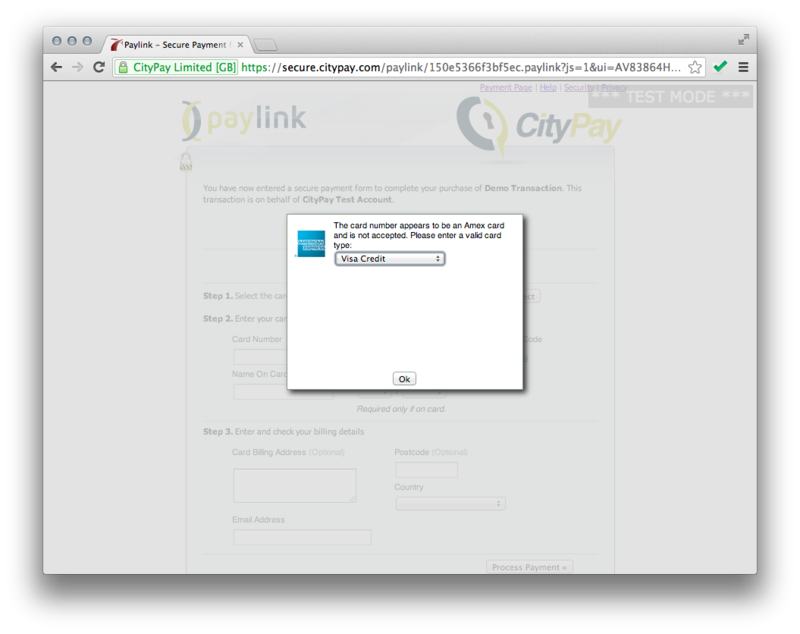 Please note that you can't process against a CHA using the PayLink API. You will need to submit a standard PayPOST API request constructed without card or address details. The addition of a CHA number is however mandatory to inform the API to process using that account.